How to BE READY for Ski Season, whether you’re a First-Timer or a Pro! Wondering what you can do to be ready for skiing or snowboarding? As the season gets underway, many of us are now thinking about what we can do to make the transition easier on our bodies. 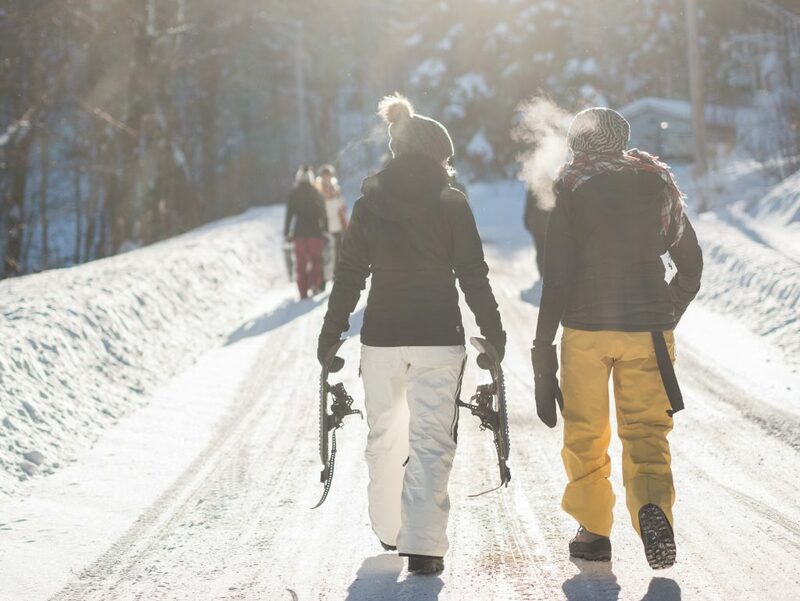 Whether you’re a pro and you work on the mountain, or a first-timer considering lessons, there are a few things you should be doing to prep your body to enhance safety and performance. Strengthen your legs, specifically your hip and core muscles. Focus on exercises that are in a standing position, similar to the position you’ll be in as a skier or snowboarder. Squats and lunges are good staples. Practice weight-shifting and balancing. Being able to shift your weight from one leg to another is key for smooth control on the snow. Balance exercises help to improve your control, alignment, and body awareness. These activities will also help train you for preventing knee injuries, including the most common – the ACL tear (anterior cruciate ligament in the knee). Incorporate agility exercises, which should include hopping and quick changes in direction, to mimic the back-and-forth movements for carving down the mountain. Being able to quickly hop side-to-side or swiftly turn in a different direction will make you more agile, controlled, and confident on skis or a board. Not only will this make for a more enjoyable slide, but it will protect your knees from injury. Learn a good flexibility and range of motion routine. When your joints and muscles have full mobility, you’ll have more freedom of movement and will be more resilient to awkward positions that you might encounter. Furthermore, full range of motion will protect your body from wear and tear, and sprains and strains. A fantastic new program that has captured the attention of the ski industry this year is an interactive, online training program that guides skiers and boarders through a systematic progression of everything listed above. You’ll gain strength, balance, body control, agility, and flexibility – in just 20 minutes, 3 times per week, for a month. And you’ll protect your knees in the long-run. This program, ACL Strong, is supported by the Professional Ski Instructors of America, the American Association of Snowboard Instructors (PSIA-AASI), and several major ski resorts across the country. From the pros to the first-timers, this program trains participants for a safer and better season, so we can all continue doing what we love to do. If you’re looking for ways to get your body ready for skiing or snowboarding this season, be sure to work on strength, weight-shifting and balance, agility, and flexibility. Consider our ACL Strong Snow Course for an expert-guided step-by-step plan with the EXACT exercises that you need. Wondering how to sign-up for ACL Strong? Click here to learn more. Members of PSIA-AASI can sign-up on the PSIA-AASI e-learning site. Let’s do this!